Almost all companies are betting big on the next gen idea of communication, the smart watch. The idea of having a wrist strapped device for everyday communication is workable indeed, but will it succeed ? Almost all of the major technology companies are launching or have announced plans to launch a smart watch. Which one will you buy? Comboupdates takes a look at the various smart watches which are available and lets you decide which one is the best of the lot for you. A smartwatch is a contraption which lets you do almost all things your smart phone can but with a difference, you can attach a smart watch to your wrist. Pebble : This one was the first of the blocks and has many users world wide when it went for sale from 27th September in the US. Available for $185.00 (Rs.11300.00) on ebay and other online portals, this smart watch runs both with Android as well as Apple devices. It comes in black and white colour and lacks touch capabilities. Pebble is a basic bluetooth enabled smart watch which can alert you about the emails, Facebook and Twitter updates, appointments etc. It can also display call id of the calls you receive on your Android or Apple device. The watch face is made of e-paper technology called the E-Ink display which lets you see what's on the display in direct sunlight. It's also water resistant and you can also control the music being played on your smart phone apart from listening to it via a head phone socket on the Pebble. 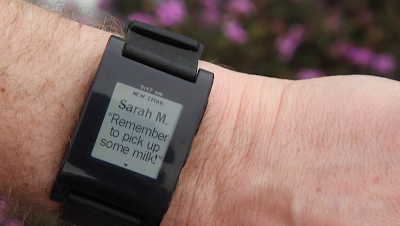 Pebble is a rudimentary smart watch with a nice battery but has its own disadvantages. You cannot make or receive calls. Further you can only decline calls through the smart watch, for receiving calls you have to flip out your smart phone from your pocket. And worst thing is that Pebble stops being a smart watch the moment you unpair it from your smart phone. The company is said to be working on a more elaborate Pebble 2. Where Pebble fails Samsung's Galaxy Gear succeeds. It can not only make and receive calls but can run Apps too. 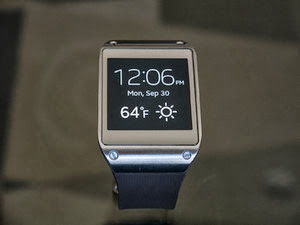 Launched worldwide in the month of September, the Galaxy Gear is available for $299.00(Rs.20000.00). Having a 1.63-inch 320 x 320 Super AMOLED capacitive display it gives you superb visual quality. It also supports S Voice for controlling your smart phone and let you take nice images with 1.9 MP camera on board. As of date the Samsung Galaxy Gear has 90 Apps and counting. This is possible with the 4GB onboard memory. This one can be labelled as a true smart watch because it runs on Android, has a camera, let you make and receive calls. But the Galaxy Gear has its own limitations. Right now it can be paired with only Samsung Galaxy Note 3 and that make its a very expensive proposition. The combo of Galaxy Note 3 and Galaxy Gear is available online for $1199.00 (Rs.73000.00). The second disadvantage of Galaxy Gear is its 315mAh battery which can be used only for a day. Samsung is updating the firmwares of Samsung Galaxy S IV, Samsung Galaxy S III and Samsung Galaxy Note 2 to make them compatible with the Galaxy Gear. Also expect all future mid end and high end Samsung releases to be compatible with it. The next in line is Sony Smartwatch 2. 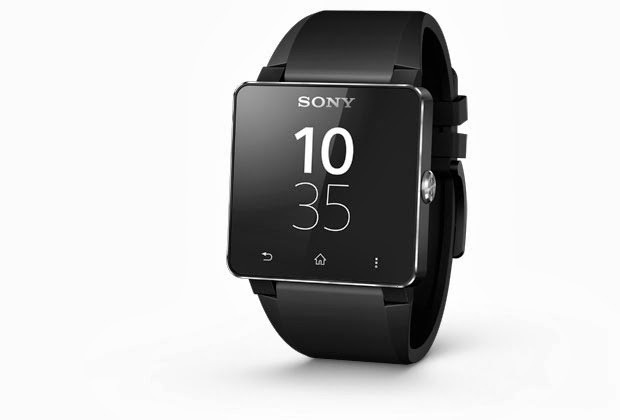 The hurriedly concocted Sony Smartwatch 1 sank without a trace because of its unrefined nature. Sony Smartwatch 2 is a much better version from Sony. It has a 1.6-inch 220x176 pixel transreflexive LCD display. Sony claims that you can use the watch for upto 7 days on light use and 3-4 days on regular use. It is compatible with Android devices which have to have at least Android 4.0 OS via Bluetooth. It can also connect to near-field communication (NFC) enabled Android smartphones. It comes with a rubber strap and a metallic strap with the metallic version costing around $299 (approx. Rs18,000). The SmartWatch 2 acts as a notifications screen and can act as your music controller. It has support for most of the popular apps such as Facebook, Twitter, Gmail, Calender, Weather and so on apart from SMS and call handling support. Sony Smartwatch 2 has its own disadvantages like it does not have camera or speaker/mic. So you cant click images with it neither can you make and receive calls. 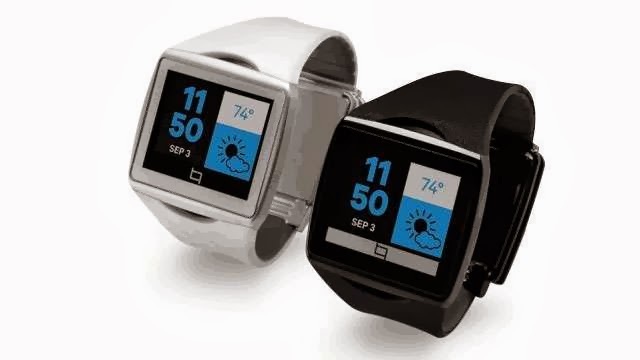 The Kreyos Meteor smartwatch is a a one up on the Pebble smart watch. It sports 144 x 168 pixel black and white screen. It lacks touch capabilites. 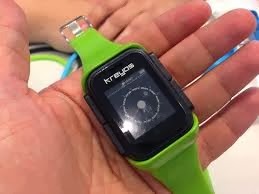 Kreyos Meteor can be customised to give variety of watch faces. It can also recieve push notifications like emails, SMSes, Facebook and Twitter updates over bluetooth from your any smart phone. It's waterproof, too, just like the Pebble. The Kreyos costs $169 (Rs.10300.00) and can be pre-ordered here. The only difference between Pebble and Kreyos Meteor is that it supports all smart phones and even Windows 8. It also has voice and gesture control and you can make and receive calls on it via on board headphone/mic slot. It also comes with preload fitness Apps. Then there is Qualcomm's Toq smartwatch. Actually Qualcomm had surprised everybody by announcing a foray into the smart watch business and the product it has come out with is very good. The Toq sports 1.55 inch Mirasol display which gives a resolution of 288 x 192 pixels. The Toq runs on a 200 MHz ARM Cortex M3 and connects to your Android 4.0.3 (and up) devices via Bluetooth. The Toq features Qualcomm’s proprietary operating system doesnt boast of a microphone or speaker or camera. Just like Pebble and Kreyos, Toq too acts as a notification screen and allows the wearer to manage phone calls, text messages, meeting reminders and other notifications from their wrist. One unique feature that makes the Toq stand apart from competition is wireless charging support using Qualcomm’s WiPower LE technology. Additionally, you can also get an optional Bluetooth headset. It comes with 200 mHz processor and is available for $299.00 (Rs.20000.00). 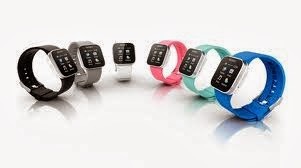 This are the smart watches available as of now. The big daddies of mobile biz, Google and Apple are expected to announce their own versions of smart watch in coming months and believe me, they will be a miles apart from the above. I will bring their reviews as soon as they are announced. Till then I dont recommend buying any of the above products as they are just too raw and unrefined as of now as the technology is still in development stage and there is no cross platform smartwatch available right now. As a dev. of the Sony Smartwatch I have to say that it's totally possible to make a call from the watch, but you need a headset to get an audio connection. "When you are using a wireless Bluetooth® headset for music, you can use SmartWatch 2 as a phone remote to make or take calls. When a call comes in, you can see who’s calling in your SmartWatch display, press once to answer and enjoy hands free calling at its easiest. You can also browse recent calls in your call log and use SmartWatch to initiate a call.